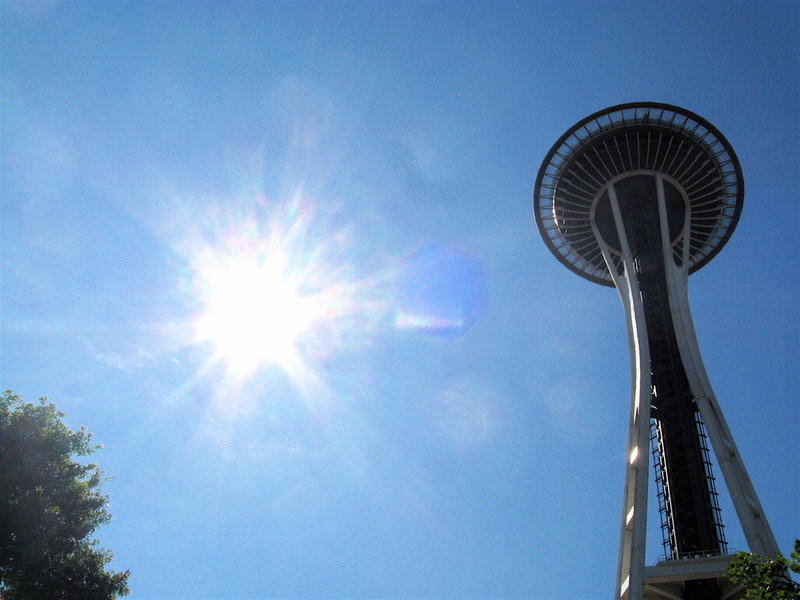 It’s a BEAUTIFUL day to come out to Seattle Center and enjoy the sights, sounds, and food! The Monorail will be open until 11pm and runs between Westlake Center Mall (downtown on Pine and 5th) and Seattle Center Station (across from the Space Needle). Picture taken today! Sunshine and the Space Needle! Blue train is currently running. The train comes every 10 minutes and is a great way to see Seattle from high above 5th Avenue. 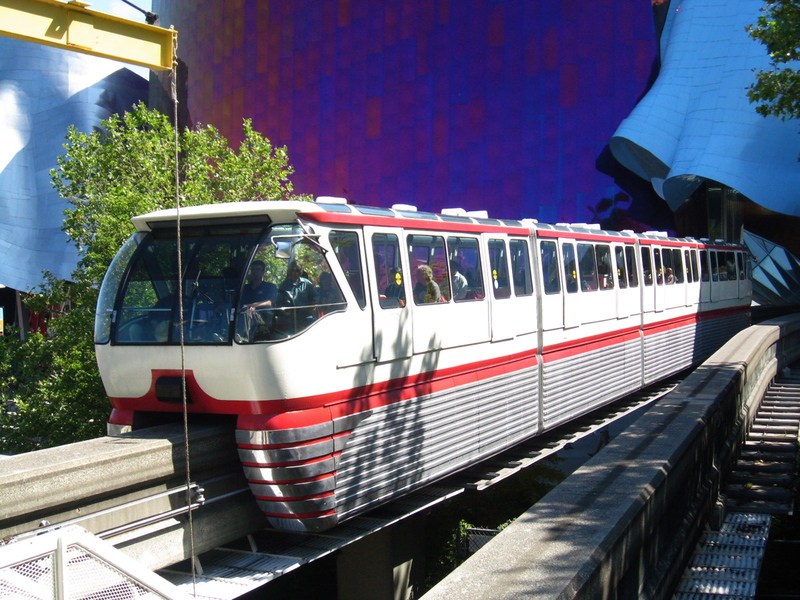 The Seattle Monorail was built in 1962 for the World’s Fair. It was a crucial link between the fairgrounds and downtown amenities; it carried over 8 million passengers during the six month fair. 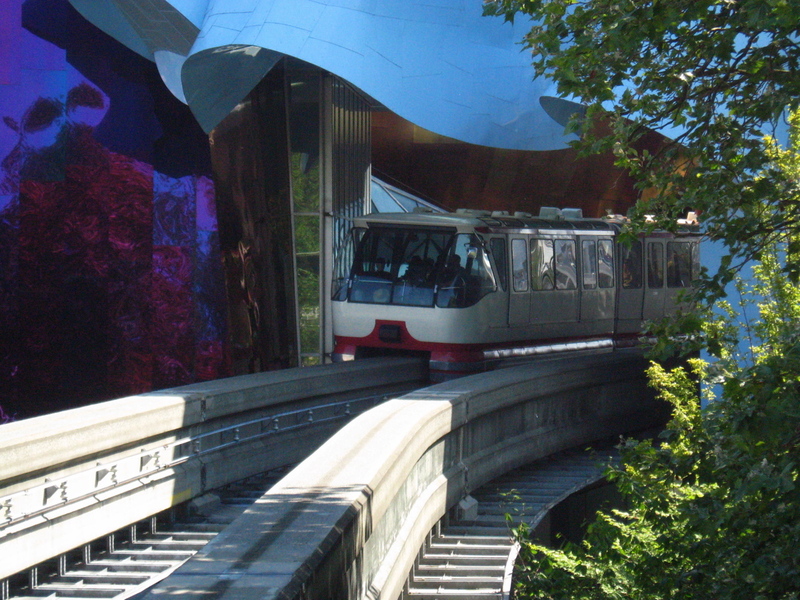 The Seattle Monorail operates to this day and provides transportation between downtown Seattle and Seattle Center attractions like the Pacific Science Center, Experience Music Project/Science Fiction Museum, and the Space Needle. 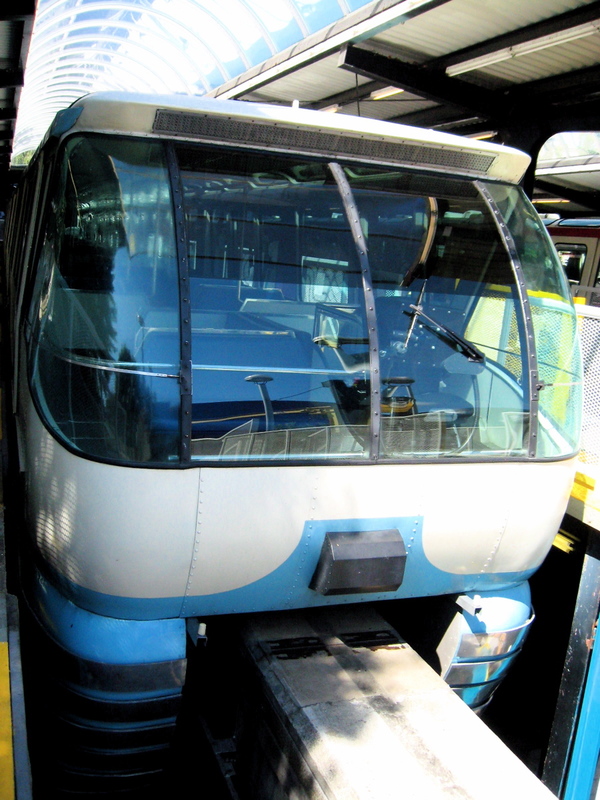 The Seattle Monorail runs everyday from 9am to 11pm. Adult roundtrips are $4 (one-way tickets are $2), youth (ages 5-12) roundtrip tickets are $1.50 (one-way tickets are only $0.75), and seniors 65+, disabled, and persons with medicare pay $2 roundtrip or $1 one-way. Here’s a few pictures that were taken an hour ago! Enjoy! This entry was posted on August 11, 2010 by Megan Ching. It was filed under Information and was tagged with 1962 World's Fair, Downtown Seattle, Seattle Center, Seattle Monorail, Sunshine, Transporation, Travel.